I love when it begins to click and I can see my clients producing their sounds correctly and confidently. I have created several worksheets for you to use with your child or your students, but I thought that it would be helpful for me to explain the process of how to teach these sounds. There are many reasons a child might not be able to say a certain sound(s). Some of those may be related to apraxia of speech, phonological disorders, cranio-facial anomalies (i.e. cleft lip/palate), etc. Those special cases will not be discussed right now in this post. I will be explaining a traditional articulation therapy hierarchy. It is a brief and basic outline you can use when teaching your child or student to produce certain sounds he/she is struggling to say. It is always a good idea to check with your local speech-language pathologist so they can fully assess your child’s speech and language needs. A speech therapist will usually give an Articulation Test to see which sounds are in error and in which part of the word (beginning, middle, or end). Once this is determined, they will see if those errors are typical for kids of that age or not. They will then recommend therapy if necessary. Just to let you know – there are a few different ways of teaching speech sounds to kids. I’m going to walk you through what is known as the “Traditional Articulation Therapy” approach. Depending on the age, number of sounds in errors, and other underlying factors an SLP may choose to use a different approach – again, just another good reason to consult with your local SLP! They will be happy to help you and your child! 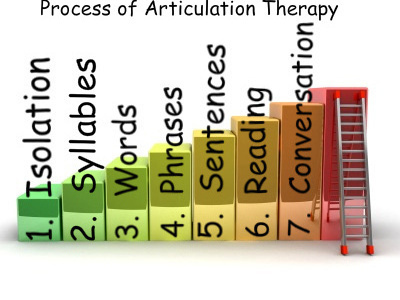 Okay, let’s go through each step of the traditional process of articulation therapy! The first thing you want to do is see if your child can make the sound by itself. We call this first level ‘isolation’. See if they can copy you as you model how to say the individual sound. Have them really listen and watch you say the sound first and then copy you. If they can correctly imitate you – this is great! We would then say that they are stimulable for that sound, meaning they can physically produce it! (i.e. lift their tongue into the right spot in their mouth, etc.) Now you would begin to help incorporate that good speech sound into all levels of speech! Child: “I want to play with my dod” (dog)! You just re-say or re-cast the sentence your child just said, BUT you emphasize the correct sounds. This is much better than asking your child to continually repeat their words or sentences – which can be so frustrating for kids. By hearing you say the correct sound immediately after they have made the error, they are getting the feedback they need! If your child cannot imitate you at all, then you would want to begin teaching them where to put their tongue in their mouth in order to say the certain sound (i.e. behind upper teeth (for /t/ or /d/ sounds) or (in the back of the throat for /k/ or /g/ sounds). The second level in the process of articulation therapy is called the ‘syllable level’. This is when we pair the individual sound (which they should be able to produce now) with a vowel. At this level, you would use the long and short vowel sounds along with the target sound. Let’s say you are working on the /t/ sound. Here is how you introduce that sound in syllables in all positions (beginning, middle, and end). Have your child practice saying the sound at the beginning of the syllable: tay, tea, tie, toe, to. Then at the end of the syllable: at, et, it, ot, ut. Then finally in the middle of the syllable: atta, etta, itta, otto, uttu. Once your child can say the sound at the syllable level, you can move on to words! Click here to use my syllable wheels for this stage! Now it’s time to put that sound into real words! Start with the beginning of the word using the worksheet pages to make cards. Then move to the end and then the middle of the word. You can also go on a treasure hunt in your home and hunt for things that have the target sound in them! For example, you and your child (or client if you are an SLP) can search for things containing their sound. See how many you can find! You could even hunt for things with their target sound at the grocery store, at the park, in books, etc! Now that your child has their sound down in single words, you are ready to increase the level of difficulty again by adding a few more words to the mix! A phrase is simply using their target sound in combination with a couple words. Let’s use the /t/ sound again as an example. Here are some phrases with the /t/ sound: “Too much fun”, “Take the car” “time to eat” “count to three” etc. Use words that have the target sound in the beginning, middle, and end. The sentence level just adds more words to the phrase to make a complete sentence. This level is more difficult because it requires the child to maintain correct speech sound production while adding other words to express a complete thought! Whew! That can be a lot for some kids to remember! Just keep practicing! It may take lots of tries, but they will get it. Use words that contain their sound in all positions of the word (beginning, middle, and end). Have them practice saying their the target sound in the beginning of words in sentences: “A big _________” (insert the words: tree, toad, tiger, etc.). Then have your child practice using their target sound at the end of words in sentences: “The funny ______ is under the table” (insert final /t/ words: cat, rat, boat, etc.). Do the same for medial /t/. It is fun when the sentences are silly! You can talk about why the sentences are silly. Ask your child why it’s silly for a boat to be under the table or what a funny boat looks like? Have them use their imaginations! They could draw a picture of a “funny boat” and tell you about it using their good /t/ sound. If your child can read, you will then be able to introduce books and have them read to you while continuing to produce their target sound correctly. If your child is not yet a reader, have them tell you stories they make up. They can also retell a story you have told them. I love this level because my students are professionals at telling me stories! This is the last level! Once your child has progressed through reading/story-telling, they should be ready to use their target sounds during their everyday speech. You can continue to re-cast their sentences if they forget to use their correct sound. You can also remind them to use their “good __ sound!” if you hear an error. By this time, there should only be occasional errors. Producing their target sound should be almost effortless and very automatic. Remember to have fun and to be patient! This can take a lot of time, but your child will get it! Please let me know how you are doing with this approach. I love hearing stories about how therapy is going! A child comes to me for speech therapy, he girst used to talk in “D” language. Means all words in D. After I took b, p,m, t, n. Now he has started talking in “P” language. He is very stubborn child. He doesn’t listen to anybody. I want your help. Pl let me know what to do. The process is working fine for my child. But, she is mispronouncing letters as she keeps on adding new. For ex, she learnt p first. Now when we try to teach her b, she is loosing p.
hi,,my daughter is 5 years old and has problems pronouncing the sss and thh. she has a frontal lisp. She can imitate me perfectly but she never remembers to say the words correctly unless she is asked too. Its been a year now and the situation is starting to get frustrating for all concerned. I know that clinicians have been using this vertical, hierarchal approach extensively since it was first made known by Van Riper and I’ve seen it referenced in journals. I’m not aware of any exact studies specifically on Van Riper in the last 10 years; however, if you are interested in what current research is showing about the remediation of phonological and articulation disorders you should check out http://www.slpath.com. Jennifer Taps is doing great things for artic/phono therapy. Thank you so much for the awesome advice. The Speech therapist at my son’s school has recommended therapy for an incorrect ‘th’ sound. Financially, at the moment, we are unable to send him as he attends weekly occupational therapy sessions. I am SO excited to try your ideas and worksheet cards to help him. Hi Kerry! Im so happy you will use these materials and tips for your son! Please let me know how I can help you along the way! Hi, How can I assess a student’s (Kdg.) letter sound knowledge when his articulation is poor? It’s difficult to distinguish if he is saying bee, cee, tee, gee, pee, dee, zee, or vee. Yeah, that can be tricky. I would have to determine if when I said the sound to him, he could point to or choose the correct letter symbol from a choice of two letters to the one that matches that sound. Does that make sense? I hope that helps but you will need to use a more receptive task since his expressive is distorted. You can use picture cards too in the same format. How do you help a child produce the /s/ sound and the /z/ sound in isolation? There are different ways of going about training the correct tongue position. I like to start by showing them with a flavored tongue depressor where the tip of the tongue should go. If they can produce a good /t/ sound, you can definitely use that for placement and then have them make a long t…which ends up sounding like this: tttttttttsssssssssss. If you tell them to hold it as long as they can it just sort of naturally turns into an /s/. Once they get it, have them do lots of drill and repetitions. Then teach them how to turn on their voice while making an /s/ which then results in a /z/ sound! Let me know how it goes. I’ll be excited to hear if this works for you child! Hi I am working as a literacy tutor with an adult who has issues with mixing up syllables in longer words, eg she will say explosive instead of exposure. It seems to mostly the final syllable that comes out wrong, it happens in conversations and the word she say has completely the wrong meaning, but you know what she means from context. It really affects her confidence, and she has negative stories about childhood issues with teachers at school due to this problem. Yes, sounds similar to my students with dyslexia. I LOVE the Lindamoodbell LiPS program. It addresses this very thing. The ability to hear various syllables in multisyllabic words can be very challenging for people with dyslexia. Even adults that have literacy issues can make progress and retrain their brains how to process sounds in words and syllables. I would DEFINITELY recommend getting your hands on the LiPS program. The LiPS program uses colored felt squares to represent syllables in words. Say a word for her. It can be a nonsense word. By that I mean, not a real word but a word that uses real English sounds. For example, “hap-tion.” Say the word to her and place two different colored felts on the table. Touch each felt as you say the word. This is helpful because she can’t rely on prior knowledge of the word and the colored felt squares serve as a visual representation of the two syllables. Then you would say, if this says “hap-tion” show me “dac-tion” and she would then show this syllable change by changing the first colored felt and replacing it with a different color because the syllable changed from “hap” to “dac”. You do this same thing for longer words and eventually they learn to hear the differences between syllables in much longer words. The next level of difficulty is hearing a single sound change (beginning, middle or ending sound) within a syllable, within a multisyllabic word. For example, let’s take the word, “dis-trac-tion”. You would say, “dis-trac-tion” and place the colored felts for the number of syllables, so 3 different colored felts are placed on the table. Then you would choose which syllable to target this time. Either the first, second, or third syllable. (You will need to print out the actual letters and place them on the felt of the syllable you are targeting). Then say, if this word says “dis-trac-tion” then show me “dis-fac-tion.” She should then remove the “tr” letter tiles and replace the first sound (in the second syllable of the word) with a new letter tile, now an “f”. Does this make sense?? I sure hope so! You can do the same thing for any of the syllables. Let me know if you have more questions and I’d love to hear how she is progressing! I have found your site incredibly helpful! I teach 5 and 6 year olds and have a large group of children that cannot pronounce ( or spell) works with f/th/v. It doesn’t seem to matter if it is at the beginning, middle or end of a word? Any suggestions please? I would do some very basic phonemic awareness type activities with them. I love the Lindamood Bell LiPS program. They teach sounds by helping the kids think about what their mouth is doing and then FEELING the parts of their mouth working for different sounds. So for example, the /f/ sound is labeled a “lip cooler” because the top teeth are touching the bottom lip and then air is being blown over the bottom lip essentially cooling it off! You could also talk about how /f/ is a quiet sound and /v/ is a noisy sound. But they are brothers because they are produced in the same way except that one is quiet /f/ and one is noisy /v/. Use the lower case letter symbol as you talk about the sound. To help them grasp the /th/ sound, talk about how their mouth works. Describe the parts of the mouth that work for that sound. Have them watch you produce it. The /th/ sound is called a “tongue cooler”. The top teeth touch the tongue while air comes out over the top of the tongue essentially cooling it off. Be sure to have the letters there for them to see while to discuss how the mouth looks and feels for this sound too. It also is a quiet sound as opposed to the noisy brother /th/ as in the work “mother.” Let me know if this approach helps! Thanks for your question. Your information is very helpful. Could you recommend a method/worksheets of assessing students? I will be working with children at a small private school. Should I play the copycat game? Hi heather, thanks for a great blog. Do you ever use a phonology based approach with your speech clients? Or generally articulation approach? Thank you for the information above. It is very informative and gives you a clear picture of what to expect in articulation therapy. I had a question however regarding a student. I have a student who adds “t” to open single syllable words such as “sea” (seat) ,even though he is required via imitation to imitate the word “sea” or even imitate labeling the letter “C”. Is he demonstrating a particular phonological process ? Can you please given some insight in his behavior and why he is doing this ? Thank you so much for your expertise on this issue. So interesting. I have not personally encountered a child who did this. My first question would be how old is he/she? Second, are they confusing the word you are saying with another word? Third, Try using a minimal pairs contrast when presenting the word. Use a visual picture paired with the spoken word. For example, a picture of the “sea” and a picture of a “seat”. Present the two picture to him/her. Say this is the “sea” (point to it) and then say “this is a seat” (point to it). Then say, point to the “sea” (hopefully he/she will point to the right picture card) then say, “point to the SEA-T” and hopefully he/she will point to the correct word. If he/she can identify them correctly, have them do this task expressively, i.e. you point to the card and say, “what is this?” or “this is a _____?” and have him/her say the word correctly. I would emphasize that by adding a sound, his little one is changing the meaning! See if that approach helps. If he is very young, use real toys or objects in a similar way I described above. Let me know how that is going! Wow! 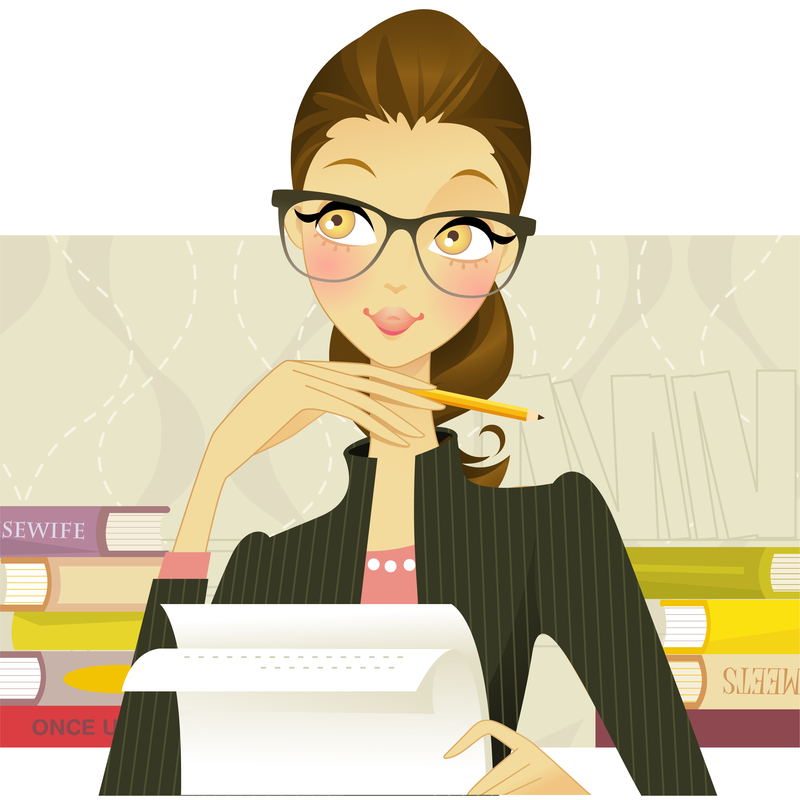 I am so excited that you found my website and that it is helpful to you as you work with your daughter. Please email me with any questions you may have. I’m always very happy to help you as you help your little girl!